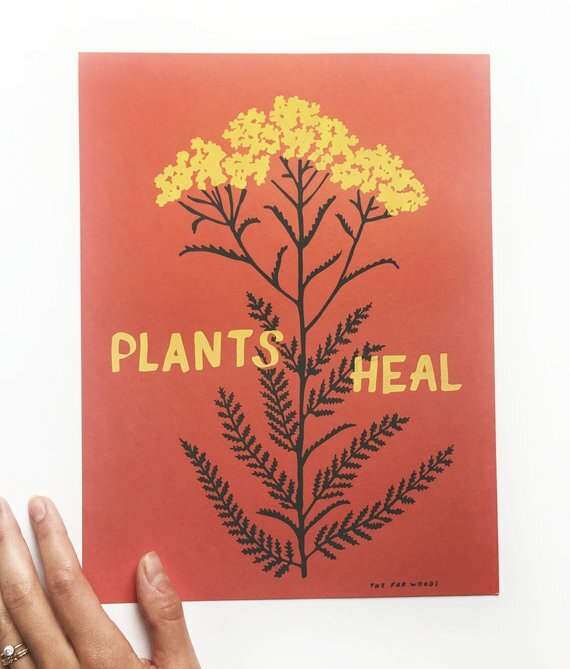 “Plants Heal” Print by Nina Montenegro, featuring Yarrow. This piece was inspired by the exquisite book, “Braiding Sweetgrass,” in which author Robin Wall Kimmerer writes that “in some Native languages the term for plants translates to ‘those who take care of us.’” “Plants were here first and have had a long time to figure things out,” Kimmerer says. “They live both above and below ground and hold the earth in place. Plants know how to make food from light and water. Not only do they feed themselves but they make enough to sustain the lives of all the rest of us. 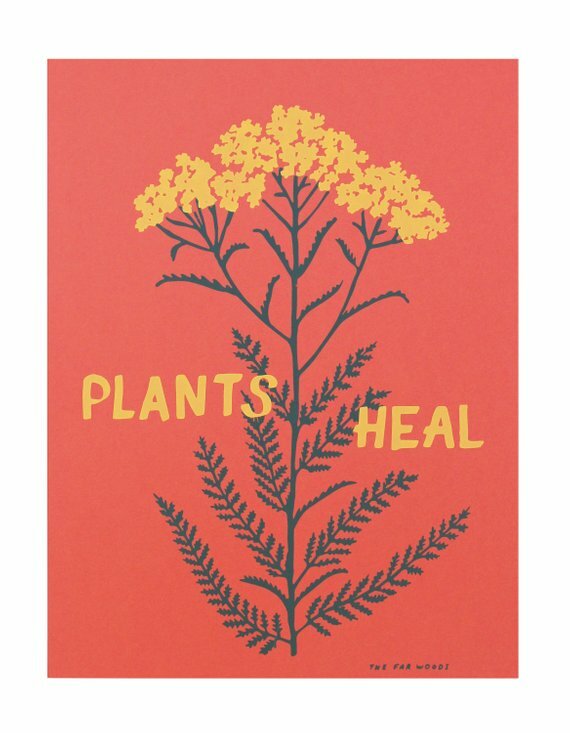 Plants are providers for the rest of the community and exemplify the virtue of generosity, always offering food.” Not only do they offer food, but also gifts of healing medicine, shelter, comfort, nostalgia. 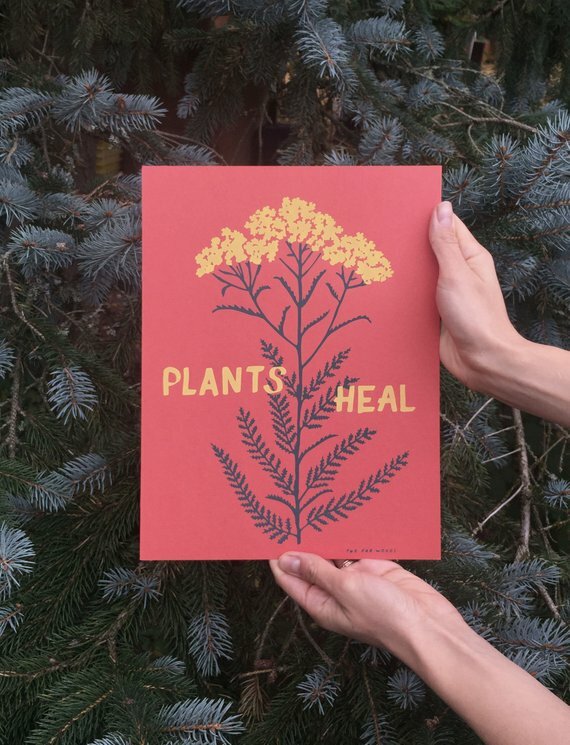 This print is an homage to these gifts, a reminder that plants are our family– and they take care of us like family. Open Edition. Signed. 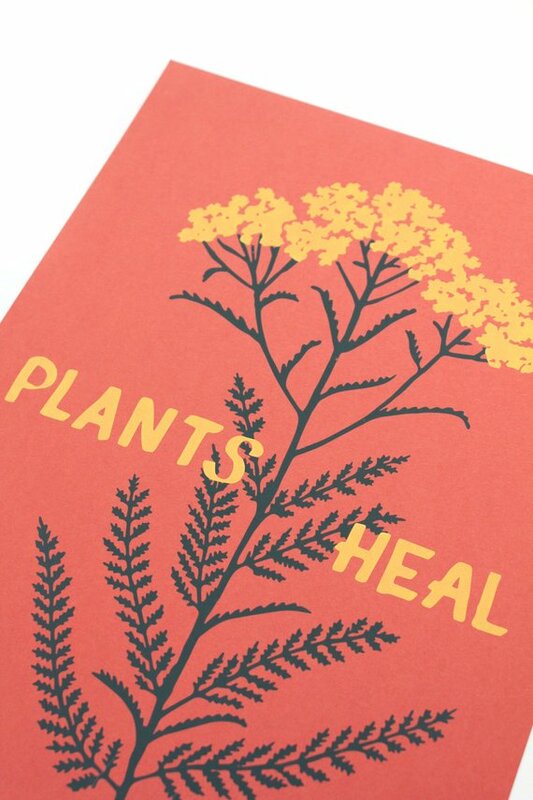 Two color screenprint in grey and yellow ink on poppy red French Paper cover stock. Hand screenprinted in Portland, OR by Nina and Sonya Montenegro. Slight variations in ink application may exist.